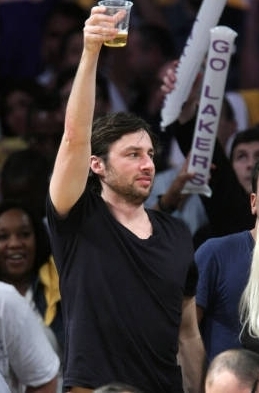 Zach Braff at a sports game. . Wallpaper and background images in the Zach Braff club tagged: zach braff scrubs photo actor 2009 january sports game beer.